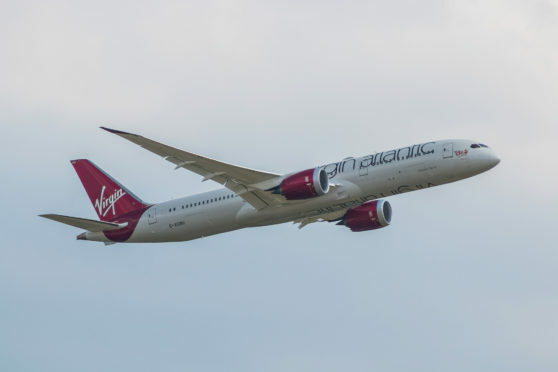 According to the LA Times, the Virgin Atlantic flight from Los Angeles to London peaked at the incredible speed thanks to the boost from the air current around 35,000 feet above Pennsylvania. It meant the flight arrived in the UK 48 minutes ahead of schedule, and looks to have broken records for the Boeing 787-9 twin jet, which previously has flown at speeds of up to 776 mph. Its ordinary cruising ground speed is 561mph, and the reading on this journey was above the speed of sound, which is 767mph. However, experts said that while the ground speed was so high, the plane’s airspeed stayed much closer to the maximum flying standard and therefore did not break the sound barrier. Ground speed is defined as the speed of the aircraft relative to a point on the ground, while airspeed is the difference between ground speed and wind speed. Airspeed measures how fast the plane is flying through the air, with ground speed how fast it’s getting where it’s going. Several flights across the US in recent days have noticed eastward journey times dropping thanks to the conditions. It also means that planes travelling in the opposite direction, against the current, will take longer to reach their destinations.